"Jewelry for Your Inner Goddess"
Announcement Welcome to Jewelers Paradise. We specialize in electroplated pendants, bezels, rosary chains, pave, findings and all the goodies you need to make special one of a kind jewelry. New items are arriving daily, please favorite and check back for new inventory. Current processing time is 1-3 business days from the time you order. If you are in a rush please purchase priority/or express mail. We will try our best to get those orders out first, but it may still take us a day to process due to many orders coming in. We ship M-F daily. All convo received on the weekend will be answered Monday. Thank you for shopping here at Jewelersparadise. We greatly appreciate your business! My inventory is growing quickly. Please use the category links on the left side of the page to make it easier to navigate through my shop. You can also search my shop for the items you are looking for. Most items are available in more than one quanity. If you don't see it listed that way and want more, feel free to convo me. I try to answer all messages quickly. I also offer bulk pricing for many items, if you want many of a particular item just contact me through etsy convo. I love to work with designers and help you get wholesale pricing. I am able to help you produce custom designs. I have many stones not listed and work directly with mines around the world to bring you the best quality stones. I can make gemstone, fossil, and all kinds of natural stone items for you. We can provide large wholesale quantity for your jewelry line. 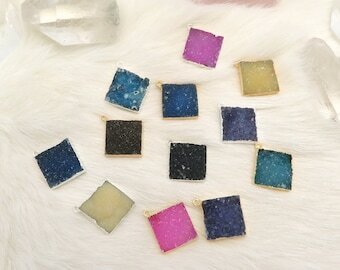 We can manufacture bezel set stones/connectors for your jewelry line and any kind of chain you can dream of. Convo me for more information. We manufacture many of our items. Our plating is a cut above the rest. Most of our items are plated in the USA, and have the quality to show it. We stand by our product and guarantee it will be high quality. Our stones are also direct from the mines we have worked with for years and they reserve the best quality stones for us. The seconds are sent off to market, but we always make sure to get the highest quality for our products. When buying from Jewelers Paradise you will receive QUALITY ITEMS at amazing prices. The difference with our stuff and others is we carry the highest quality of stones. We have the mines reserving all the best stones to be cut for us. You will always see the amazing quality difference when you purchase from Jewelers Paradise! I personally travel several times a year to select the stones that will be used to cut our products! We are very big on quality control and believe that our clients should only get the best. The best way to reach me is through Etsy convo. Please do not email me, as I have too many email addresses and might not see it. I check my convo all the time, so you will be sure to get a response that way. I am starting to take the weekends off to spend more time with my family. Please be patient on the weekends, if I have time I will get back to you, if not I will respond Monday morning. Thank you, I really appreciate your business. Welcome to Jewelers Paradise. 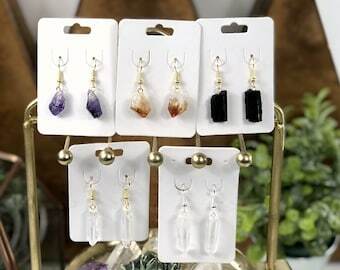 We specialize in electroplated pendants, bezels, rosary chains, pave, findings and all the goodies you need to make special one of a kind jewelry. New items are arriving daily, please favorite and check back for new inventory. Amethyst selected for our pendants. Lots of selenite in the shop. Check out our new exclusive coin collection. Going online today. Many styles to chose from. Five years ago, I took a leap of faith and resigned from my day job. I started at home in a small room in my house making some jewelry items. I was asked by friends and family all the time to sell my creations and decided to give it a shot. My husband is in the coin and fossil business, and I have made jewelry since the age of 12 years old. I kept looking for ways to turn his items into unique pieces to use in my jewelry designs. 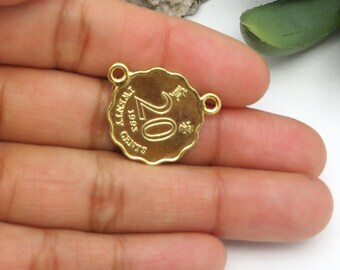 I also wanted to create special findings for my jewelry that were not available on the market. This is how Jewelers Paradise came about. We worked out of a small room in my house. I kept at it, and five years later we are now a company with our own warehouses filled with all the goodies you need to make one of a kind jewelry. We now stock all the pendants, findings, and chain that you need to make one of a kind creations. I spend a great deal of time making new designs available to designers world wide here. Jewelers Paradise is now my dream job! We have travel the world to look for unique stones and items. We work with mines around the world to get stones direct from the source. When you purchase from Jewelers Paradise, you are helping small villages and communities around the world. Your purchases have made a difference in these communities and have helped to change lives! Each product is made with the utmost care and takes a lot to produce. Our stones come direct from the mines, to the cutters and polishers. 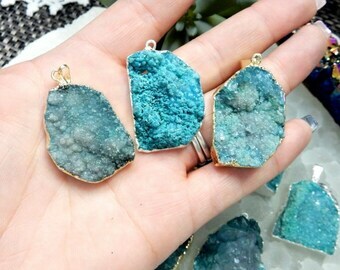 Each druzy, amethyst, etc... is hand cut and polished and then hand electroplated or bezel set. About 70% of our electroformed products are plated in the USA, and a small portion is out sourced. We have the mines reserving all the best stones to be cut for us. You will always see the amazing quality difference when you purchase from Jewelers Paradise! We can help you produce unique findings or finished jewelry for your line. Need a pendant plated, help with manufacturing a design of yours, or wholesale pricing? Convo us and we would love to work with you! We stock hundreds of each style and can provide large volume wholesale orders for designers. We also have a warehouse in Chatsworth, CA that is open for Wholesale only. Convo us for information if you would like to come visit in person. This is my Jewelers Paradise! Thank you for visiting and please check back as we add new products daily. I was always looking for the perfect supplies for my creations. This shop came about when I decided to design many of those myself. 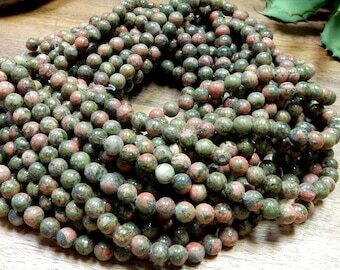 We carry unique stones, fossils and jewelry findings. Sorina is our jewelry maker and also shipper. In charge of carefully packaging your order. Jackie is the best! Not only does she pack your order carefully, she makes sure each item going out is in wonderful condition! She also custom makes jewelry. Melissa is our main photographer. She takes many of the lovely product shots you see online. Elsa carefully pulls your orders and prepares them for shipping. We get your orders out the door fast. Job is amazing at getting your orders ready and also helps to create product! Martine is our warehouse manager. A few of our finished jewelry items are designed by us and produced by a family run business in India. A few of our finished jewelry items are designed by us and made with the help of a manufacturer in Brazil. Welcome to Jewelers Paradise! I have enjoyed making jewelry for over half my life now. I was a special education teacher in my past career and when I resigned I decided to pursue my passion for design. Jewelers Paradise started 5 years ago as a small shop. We now have a 5000 foot warehouse filled with amazing electroformed pendants, bezels, chain, findings, and all other items you need to make your jewelry creations stand out! We have a great assortment of unique designs, many which are not available anywhere else in the market. If your looking for something special and unique you can find it in our shop and if not let us know. We are able to produce custom designs and do a lot of private label work. Yes! We can help you manufacturer almost any jewelry item. You can order custom design chain, bezel, finished jewelry, pendants, and so much more. If you need custom cut stones, items plated, or any type of custom jewelry please message us. For some items we require a minimum for custom work, but it depends on the item so please ask. We stock a huge volume of most items in our shop. Message us for wholesale pricing details. We are a reliable source and can help you with any of your jewelry needs with quick turnaround time. International orders are shipped first class mail for most countries. A few countries must ship express mail as it is the only safe way to get your package to you with tracking. All international orders over 150 usd must upgrade to Express or Priority mail. Etsy does not calculate this automatically. We will contact you after purchase for additional shipping charges. It is the safest way to get your package to you with tracking. We will also need your phone number to include on the package. If you prefer UPS, please contact us for rates. Please shop with confidence. Satisfaction is guaranteed. If you are unhappy for any reason please contact us within 7 days and return the item within 30 days. We will issue a full refund minus shipping. no returns past 30 days. All cut chain/cord sales are final. We also have a few listings for "AS IS" those are reduced to lowest prices, and final sales. If you would like to exchange an item, that is not damaged we will issue a refund and ask you to purchase the item again as we cannot be responsible for return shipping. Returns on custom discount listings are subject to a 10% restocking fee. We reserve the right to charge 10% restocking on any returns. Can we shop in person? Yes! We have a warehouse open for wholesale only in Canoga Park, California. For more information please contact us. Our electroplated gold (layered/dipped/edged) items are made with a layer of copper, then nickel, and finally a layer of gold or silver. If you are sensitive to plated jewelry in general please do not purchase. Some Jewelry items may contain lead and lead compounds. Lead and compounds are chemicals known to the state of California to cause cancer, birth defectives or other reproductive harm. All items are not intended for children 14 and under.